← Kitchener: can we keep this set at City Hall? 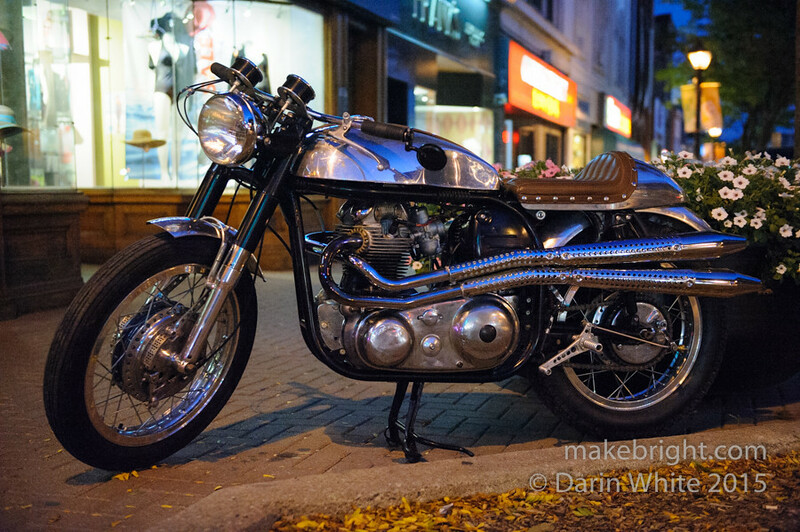 Found this sweet bike Uptown Waterloo as Brohemus and I wandered the evening last week. Alas, Andy’s Norton was not part of the BIKE SALE. At King and Erb, this is Waterloo. 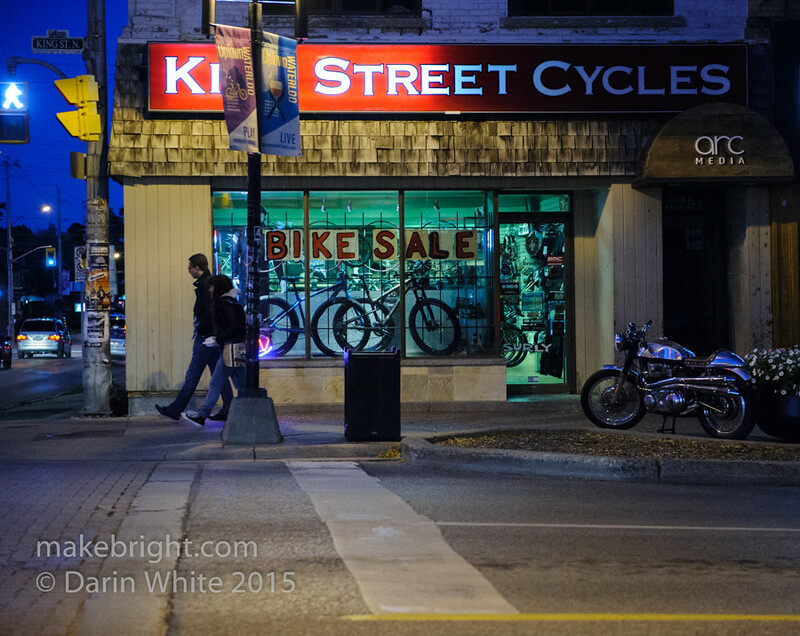 This entry was posted in photography and tagged bicycle, King Street, motorcycle, waterloo. Bookmark the permalink.